Every anarchist at some point has heard this, “you’re just selfish”, or some variation thereof. If you haven’t been told this yet, I can guarantee it with 100% certainty, you will. It ranks right up there with “who will build the roads”. 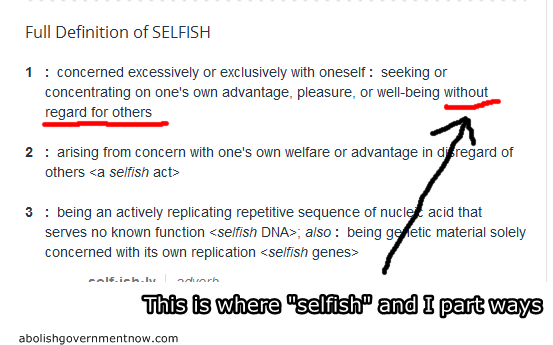 Apparently, wanting to be free and wanting others to be free makes us selfish. What else should I expect from mindless statists? Making sense has never been their strong suit. To my statist friends, you are the selfish ones. You are the one who think people should sacrifice themselves for what you want. You want the state to protect people. Understandable, except you want others to pay for it. You want the benefit, but not the cost. You want the state to do things, but you can’t, or are unwilling, to pay for it yourselves, so you ask the state to take, by force, from other people to pay for the things you want. You think you are selfless because you’re asking not these things for yourself, but for others. You’ve probably even convinced yourself that you are altruistic. You’re not. If you took it upon yourself, made self sacrifices, to help others, that would be altruistic. What you do is sacrifice others. You are egoistic. Yes! You want the gratification of your own desires. That is all. Your desires are the things you ask the government to do. But instead of doing those things yourself, you ask a third party to do them. It’s very easy to think to yourself, “I would like to help this person”, but instead of helping that person, you order your neighbor to do it. 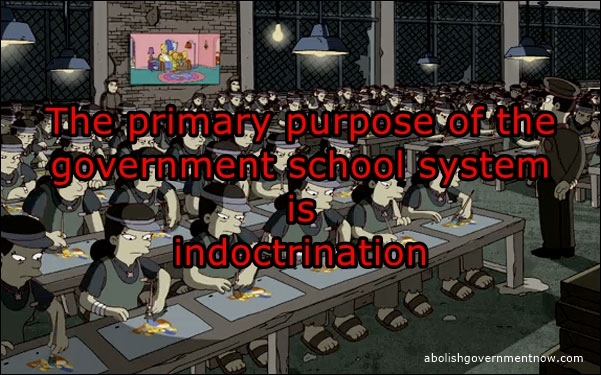 Because that is what government is. When you ask the government to do something, you are quite literally putting a gun to your neighbors head and saying, “help this guy over here or else!”. I can say these things with certainty because the empirical evidence is there. When you ask the government to do something, it does it poorly. Ask the government to help the poor? It helps them into further poverty, even generational poverty, and dependency. 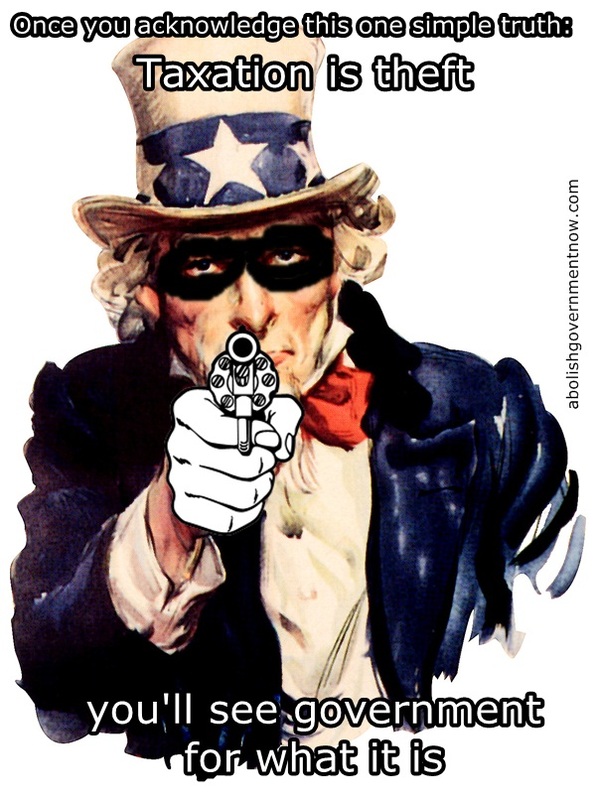 Ask the government to provide protection from criminals? It becomes the criminals, stealing from, assaulting, kidnapping the people it’s allegedly there to protect. If you don’t see these things, Mr. statist, you are willfully ignorant. It’s about you and how it makes you feel. You desire that feeling of helping people. When you ask the government to do something, it satisfies that desire. It satisfies your ego. It’s not about the results. The results of government are atrocious. You see the results, but you rationalize it. “They’re just doing a bad job, the intentions are good”. I hear it every day, “if we could just get the ‘right’ people to… blah blah blah”. You are the selfish ones. You care nothing about the people who you ask the government to take from. You pretend it’s for the good of the people who are allegedly being helped, but it’s not, because they aren’t being helped, they are being hurt further. It’s about you and what you want. Your desire to feel like a good person. You’re not a good person. Asking the government to steal from some people to allegedly help other people doesn’t make you a good person. It makes you a bad person. 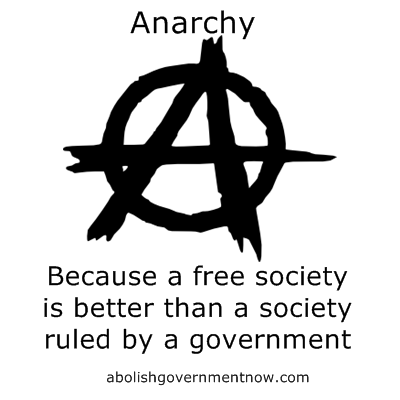 Anarchists are not being selfish when they advocate freedom. We are meritorious. 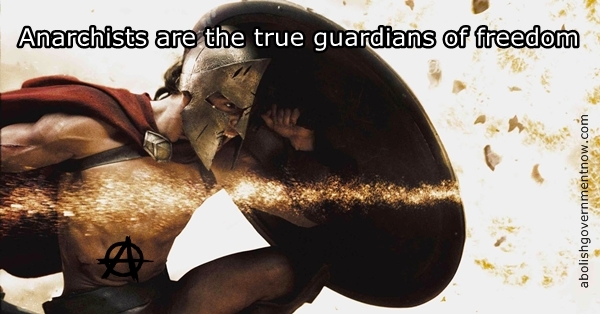 We uphold the virtues of freedom. We are neither altruistic or egoistic in general. I personally help people when I can. 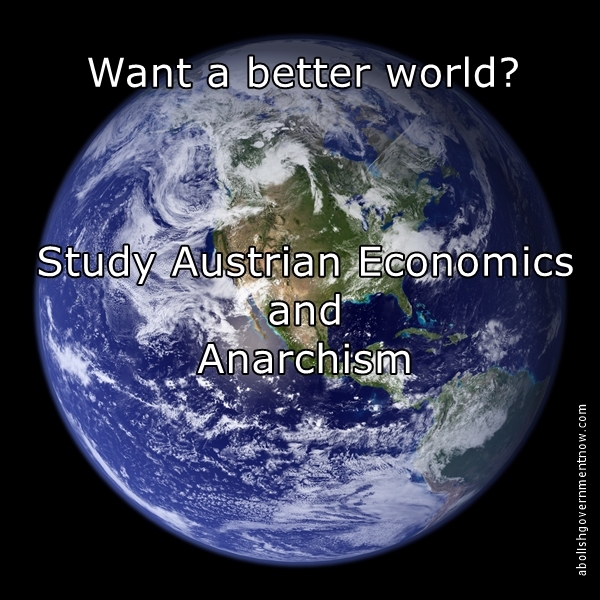 Other anarchists I know do as well. We do not ask governments to force others. We are not advocating freedom to satisfy our own egos. We do desire freedom, not as gratification, but simply to be free to pursue life on our own terms. To be free of the chains of others stealing our time, money and property and commanding us. And for others to be allowed the same freedom. Calling us selfish is intellectually dishonest. My guess is that deep down you know you are selfish and you hate yourself for it. So instead of confronting your own selfishness, you project that upon others. It’s okay to forgive yourself for your selfish past. Move forward. Embrace freedom today, not only for yourself, but for others. I promise you, people can take care of themselves once all the chains of government are removed. Freedom is not the means of achieving a goal. Freedom is its own reward.